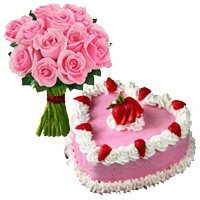 Send Online Cakes to Mumbai Online Same Day Cake Delivery in Mumbai, Place Online Order for heart Shape Cakes to Mumbai for your sweet heart. Cake to Mumbai : Send Heart Cakes to Mumbai Pictures of the Heart Cakes with icing decoration are Indicative. The icing of the delivered cake may differ from the one shown in the picture. Earliest Cake Delivery time is 12:00 Noon- Thank you for visiting our portal Mumbaionlinegifts to Deliver Cakes in Mumbai. We provide delivery of Cakes all over Mumbai . It's very easy place order to Send Cake to Mumbai any time and cake delivery for any occasion like Valentine's Day Cakes to Mumbai. Mothers Day Cake in Mumbai. You can place the order to send heart shape cake delivery in Mumbai. Same Day Delivery of heart cake is possible. We deliver your order to send herat cake of any flavour in Mumbai from our local shops with in various parts of Mumbai . order now to send Cake to Mumbai. The Aggregate Rating of this Webpage is 4.17 Out of 5 Based on Rating Received from 36 Customers.